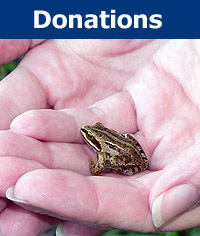 Please help support the Acopian Center for the Environment's conservation efforts. AUAC is a 501(c)(3) organization. A richly illustrated book depicting all 346 species of birds known to occur in Armenia, including range distribution maps and easy identification tips. 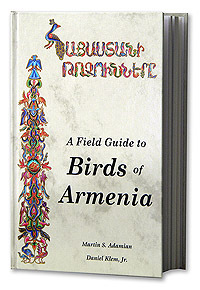 The most comprehensive publication on the birds of Armenia and Caucasia in general. Armenia has an extraordinary 346 species of birds. Includes text description of all species along with 61 color plates by distinguished bird artists. Each bird species has a detailed distribution map of the location of that species and its abundance. Published by the American University of Armenia. Translated from the English version of A Field Guide to Birds of Armenia. All text is in Armenian. Identical to the English version of the Field Guide, except bird distribution maps are not included. 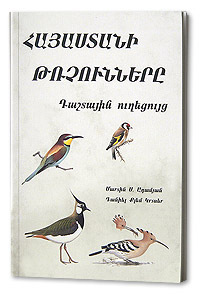 A richly illustrated book depicting all 346 species of birds known to occur in Armenia, including easy identification tips. Includes text description of all species along with 61 color plates by distinguished bird artists. The most accurate and detailed map available for the Republic of Armenia. This map is a must for anyone interested in or traveling in Armenia. 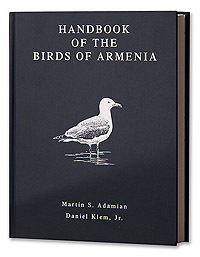 Handbook of the Birds of Armenia M. S. Adamian and D. Klem, Jr., Copyright 1999. 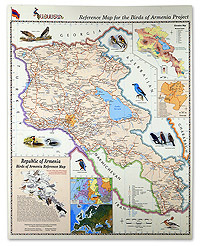 The most comprehensive and scientifically documented work on the birds of Armenia. Published by the American University of Armenia. "American University of Armenia Corp."
and “Acopian Center” in the check memo. American University of Armenia Corp. Call Lilia Darbinian at (510) 987-0770. Please remember to specify Acopian Center and the project you wish to support. Give to our cause. Every donation counts. Our Online Store sells a complete line of maps, books, field guides, and ACE gear.